ThemeParkMama: Make a difference with your weight by going Green....... #Giveaway! Make a difference with your weight by going Green....... #Giveaway! I am trying to make a difference by eating better and watching what I eat, but I want it to taste good. Green Giant has a huge selection of frozen veggies, steamers and more. 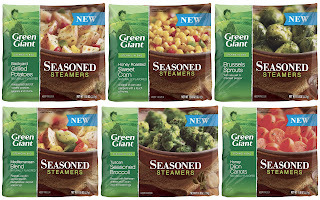 Green Giant Steamers are great tasting easy prepared mixed veggies, cheese and broccoli along with other great tasting options all which are under 100 calories Green Giant also has its own line of both frozen and canned veggies. My husband is the cook in the family and he makes sure we eat are veggies so I know I am getting the best every night. My kids really enjoy the Green Giant products as well each child has there favorite which we rotate on who gets to pick what each night. I really enjoy Green Giant I know that while I am enjoying a great tasting meal or side, that I don't have to worry about eating right. Green Giant has all kinds of veggies to choose from even potato mixes! 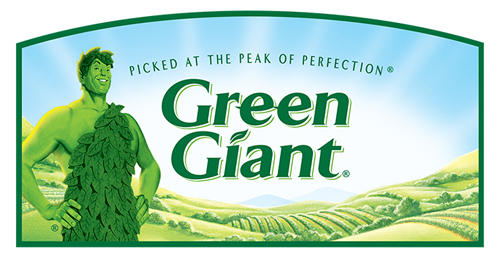 You can purchase Green Giant products at all major retail stores. Win VIP coupons for free Green Giant products! Offer ends 11/6/13 open to U.S. residents only. Disclosure: The information and prize pack have been provided by Green Giant® through MyBlogSpark. Yes, I eat veggies every day. I like their frozen corn. I like creamed corn from green giant and do eat some veggies. I LOVE veggies! I like Green Giant's Baby Vegetable Medley boxed vegetables. Yes, I love veggies. Artichokes are my favorite. I love veggies and eat them every day. I love green giant grean beans and corn. I eat lots of vegetables. I like Green Giant frozen veggies. I like their Asparagus Cuts since asparagus is my favorite veggies. I do eat my veggies and I love Green Giant Sugar Snap Peas. I love vegetables! Broccoli with cheese sauce is my favorite. Everyday and I like the Brussels Sprouts. Tuscan Seasoned Broccoli and yes I do. I do eat my veggies and green beans are my favorite. I try to eat my veggies. I love the Green Giant Brussell Sprouts. I love veggies! I love Green Giant Steamed Green Beans the best. I love veggies! My favorite green giant is their frozen corn nibblets! Of course I eat my veggies! I haven't tried Green Giant products but the Asparagus Cuts look great! Yes we eat veggies. I love the sweet peas in the steamer bags. Yum! I love veggies and broccoli is my favorite.